No Wood That I Have Used Is As Bright “Yellow” As Brazilian Satinwood. Satinwood from Sri Lanka has a more golden tone to it. Around here mulberry and Hedge starts out yellow but changes very fast to a dark reddish brown. 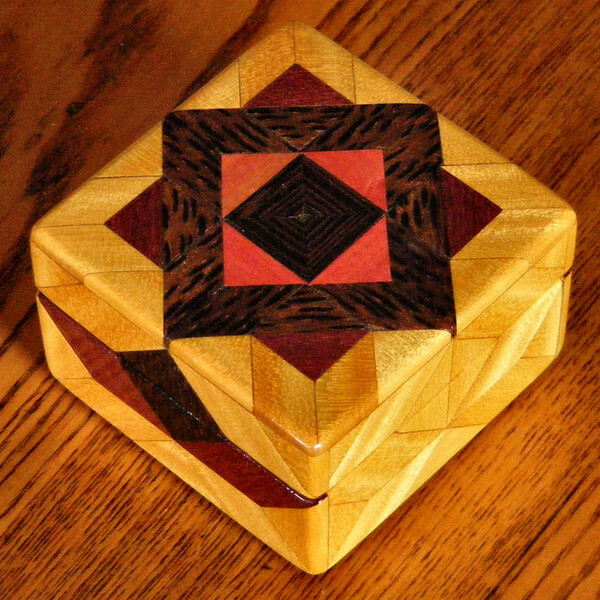 The other wood on this box from the center is Wenge, Pink Ivory, Black Palm and Purple Heart. The Satinwood helps to set it all off, it all being the natural colors of the different kinds of wood.